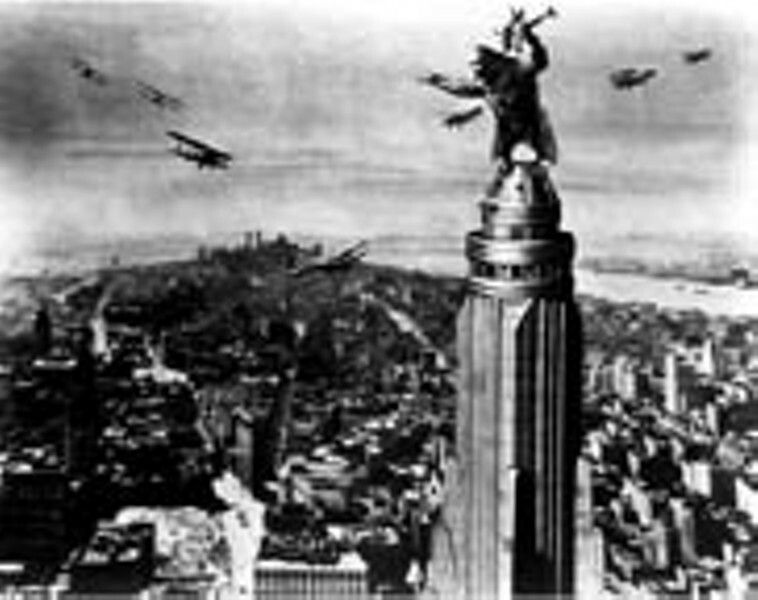 Rental Unit: "King Kong" (1933) | Arts and Culture | Style Weekly - Richmond, VA local news, arts, and events. In the original a movie producer (Robert Armstrong) and a poor but beautiful young actress (Fay Wray) are in varying ways responsible for the downfall of Kong, a giant ape living in seclusion on a South Pacific island. Enjoying the original today, especially in light of the new film, takes a little imagination. Computer-generated imagery (or CGI) made the long-endangered technique of stop-motion animation extinct, at least for monster-making, and now the movie is like an old video game  quaint no matter how hard we try to think about how impressive it was for its time. It was, ironically perhaps, one of the earliest blockbusters in every sense. People almost exclusively came to see it for the spectacle. The acting is cheesy to our eyes and ears, full of comic book-isms ("Holy mackerel!"). I wouldn't recommend watching it on a small television, but if you see it in one of the theaters showing a 35 mm print, or even on a fairly nice home-theater system, a lot of what was originally good about "Kong" comes through.